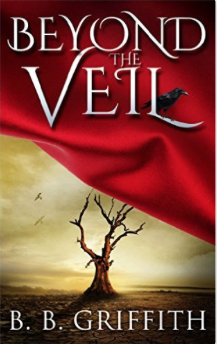 The second in the Vanished series, Beyond the Veil is every bit as mesmerizing as Follow the Crow, the book that started the series. The bell has found a new Keeper in Grant, an eight-year-old boy. Caroline and Owen, tasked with protecting him, have left the Navajo reservation and rush to Grant’s side, but following close behind are the two agents who want the bell for some diabolical goal of their own. Ben Dejooli, now the Walker and responsible for escorting souls to the veil that he can’t cross himself, and the members of the Circle tasked with protecting the bell begin to realize that something is out of balance and getting worse by the day. As the veil grows weaker between our world and the one beyond, our heroes mobilize to save the world and the souls of everyone in it. The Vanished series is one of those wonderful stories that kidnaps a reader and won’t let go even after the last page. I love the different points of view, the dialogue, the characters, the story…really everything about this series. And especially Chaco! I was afraid that this might be the end of the story, but it looks as if a third in the series is likely. Mind you, neither of the first two books end as cliffhangers. They are complete stories in themselves, but the overall story continues. If you like fascinating characters and plenty of action in fantasies that inspire as well as entertain, the Vanished series is for you.